Precision Cut Stainless Steel Motor Mount Adapter. 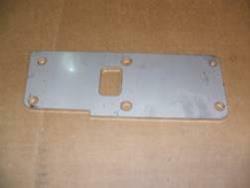 M20 cars - You will need to purchase the 535i left aluminum mount, PN 11 81 1 175 591. This mount is the same on all E28 and E24 cars with M30 or S38 engines. The stock M20 motor mount will not work.